How Much Can My GMC Sierra Tow? When I am Towing a Trailer With My Sierra How Do The Brakes & Lights Work? Is It Hard to Install a Receiver Hitch? How Do They Stay in Place? What Else Do I Need to Know When Towing with My Sierra? One of the biggest reasons people buy pickup trucks is so they have the ability to tow and haul cargo. Installing the proper equipment will keep your cargo safe and enhance the longevity of your truck's productivity. Pickup trucks like the GMC Sierra are able to move everything from a couch and furniture to large trailers and full beds of gravel. The Sierra’s ability to haul and tow makes it another tool you are able to use in between daily driving and working on the job site. This guide will go everything you need to know about your Sierra’s towing capabilities & hitches and how to maximize its effectiveness. 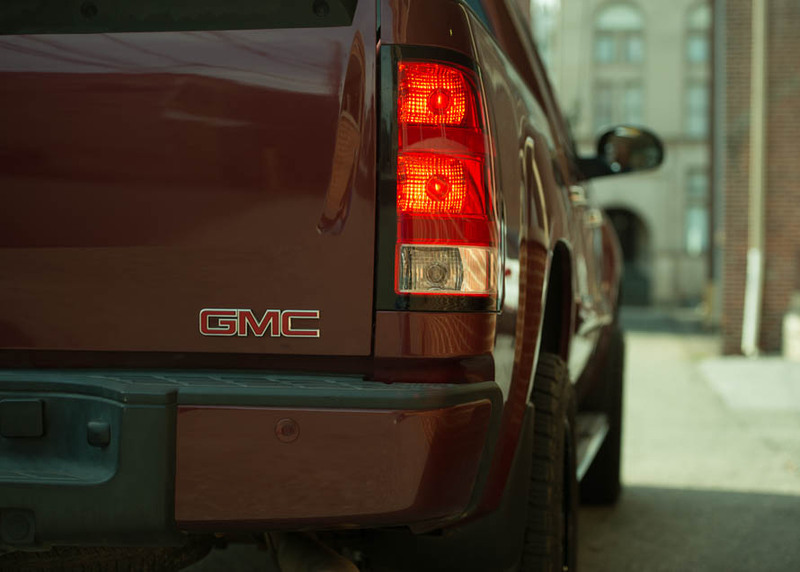 The 2007-2013 GMC Sierra is able to tow anywhere from 4,400 lbs to 9,600 lbs. This tow rating varies based on engine size as well as transmission. The 4.3L V6 is good for towing about 4,400 lbs while the 6.2L V8 is good for towing 8,000 lbs. 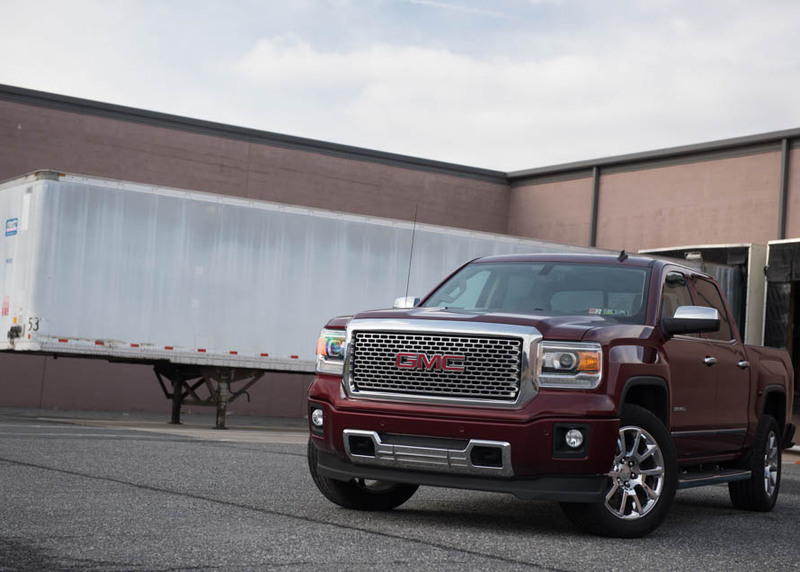 The 2014-2018 GMC Sierra is capable of towing anywhere from 5,500 lbs to 9,400 lbs. The ​EcoTec 4.3L V6 can tow and impressive 5,500 lbs, while the mighty Duramax 6.6L can tow a staggering 9,000 lbs. The third generation of the GMC Sierra brought up its baseline towing capabilities while slightly reducing its max towing capabilities. However, thanks to all of the different towing assists and electronics, towing has never been easier. To find out how much your 2007-2018 GMC Sierra can tow, there are two places you can check. First, open your driver side door and look in the doorframe for a sticker. This sticker will contain all of the basic info about your vehicle, from the weight and tire pressure, to the seating and towing capacity. The second place you can check is in your owner’s manual. The owner’s manual will give you a lot of the need to know information regarding your vehicle and what it is capable of. When you hitch up a trailer to your Sierra, there is more to it than just lowering the trailer onto the ball and going off on your way. For getting the lights to work for braking and driving at night you will need a connector to hook into your truck and to the trailer. Your Sierra should already be wired up for this with a socket already installed on your truck. Your truck should have also come with a connecting wire, but some trailers comes with them as well. Making the connection from the trailer to your Sierra is super easy and a plug-and-play process that should take all of 30 seconds to complete. As a side note, you should never just trust that the lights on the trailer you are hooking up to once you connect the wire. You will want to press the brakes and try the turn signals before you get on the road, ensuring everything is working properly, including your connection points. If the lights on your trailer aren’t working and you have already checked the bulbs and you are positive the wire is plugged in snuggly, you should check to see if there is any dirt of mud build up on the connection points. A dirty connection point can inhibit the use of your trailer’s lighting. On the back of your truck, right beneath the rear bumper in the center, there is a receiver tube. The receiver tube, which looks like an empty metal square, is the mounting point for the receiver hitch. 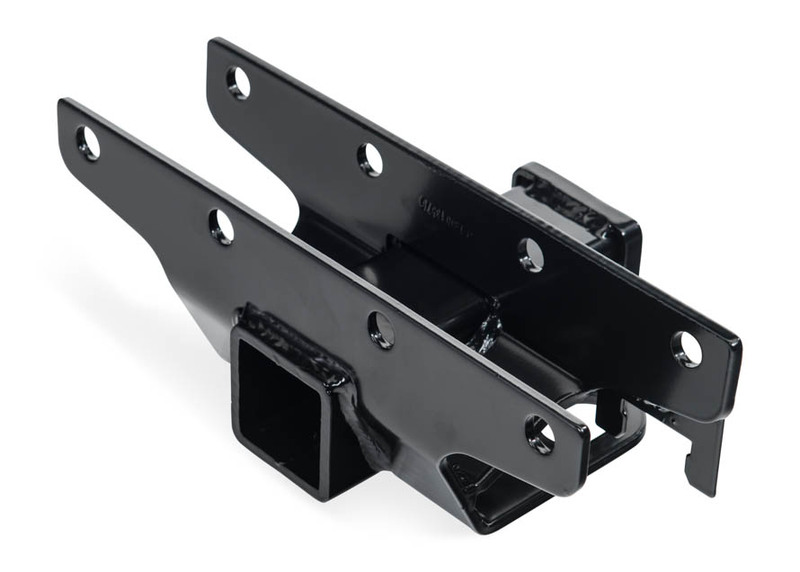 The receiver hitch is the main connection point between your truck and whatever you are hauling, making it a vital component and something you don’t want to cut corners on. Receiver hitches come at a fixed position or have an adjustable one for various different heights. A fixed hitch is ideal for someone with a stock ride height Sierra that will be seeing limited/specific towing duties. Adjustable hitches are for people with lifted or raised Sierras that see varied towing duties. Most hitches already come with a ball mount attached to the hitch, but not all do. Some come without one, requiring you to purchase one. The ball mounts come in a variety of sizes/widths, as trailer couples have varied opening sizes. Some ball mounts may be too small for some couplers, not allowing for a tight/secure fit, while too large a ball mount will not allow for any coupling at all. It is imperative to have a properly sized ball mount on your Sierra so you can safely connect to whatever you are hauling. Putting a receiver hitch on your Sierra is just about one of the easiest things you can do. You will not need any tools to install it; simply slide it into the receiver tube/mount and get the holes to line up in the tube with the hitch. Once they are lined up, you can slide a pin through there to lock it in place. Some aftermarket Sierra hitches come with a pin, but not all do. The pins slide right through the aligned holes and clamp on the other end to ensure the hitch will stay in place. It is recommended to go with a locking pin that requires a key as these are much better at preventing the theft of your trailer hitch. It is also worth noting that you should only use hitch pins that are intended/designed for holding the hitch in place. Anything not stout enough will run the risk of breaking under duress/use running the risk of injury and damaging your trailer, along with the cargo. Use chains rated for a few hundred pounds plus whatever you are towing (including trailer weight) as a backup safety precaution. A set of chains, crossed in an X, will ensure your trailer stays with you should the coupler come unmounted from the hitch. Be conscious of your turning radius and how much room you need. Having a few extra feet of vehicle behind you means you can’t make turns the same way you do when you are not towing anything. Swing out a little wide to ensure you can clear corners and obstacles, avoiding scrapes and accidents. Backing up can be tricky and could require some guidance or YouTube learning for novices/newbies. If possible, try backing up in an empty parking lot when you are all hooked up with a trailer, getting familiar with how your Sierra responds and how you have to adjust/cut your wheel to back a trailer up.